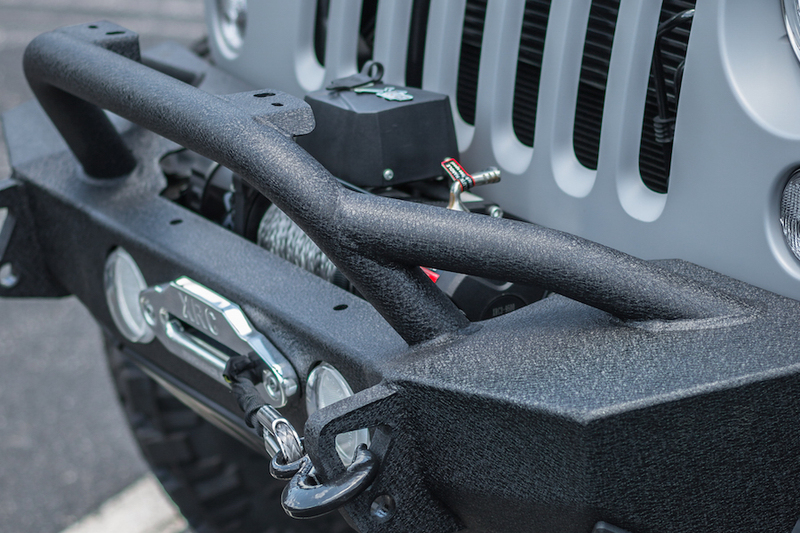 When it comes to the world of Jeep customizations, the possibilities are endless. 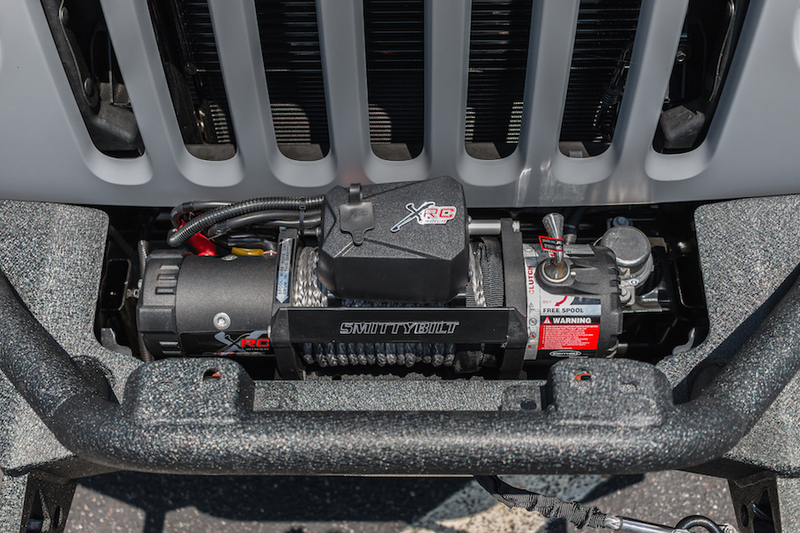 Due to the large number of available accessories, some Jeep owners need a little help getting started. 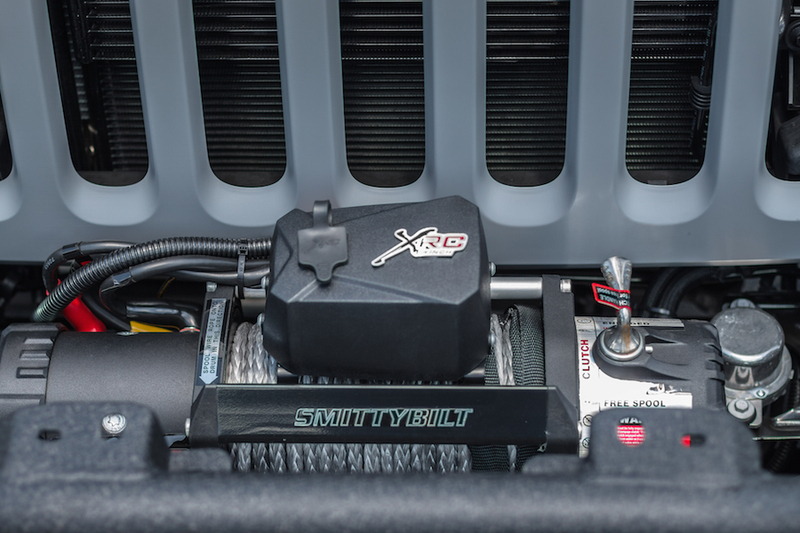 The experts at Palmer Custom Jeeps by SORS have removed the confusion out of the process with two ready-to-go packages: Trail Warrior Package and Ultimate Warrior Package. 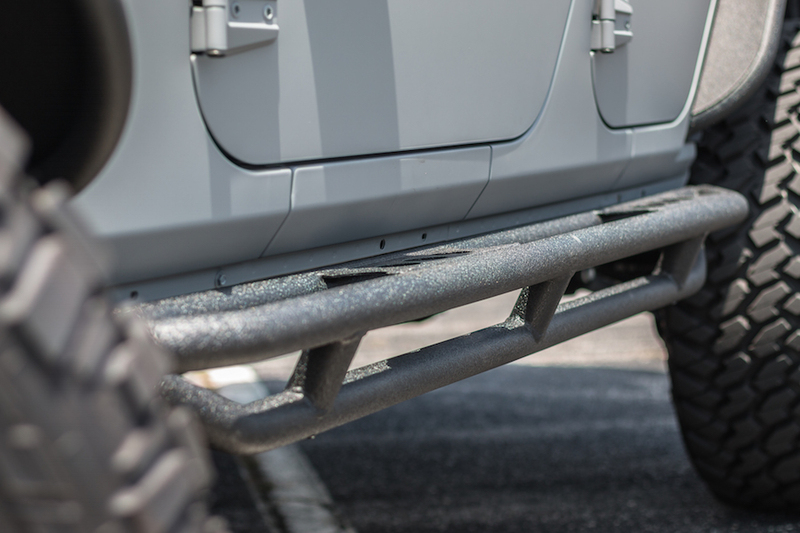 You can elevate your Jeep to even newer levels with our cutting-edge Armored Warrior and Light Warrior package add-ons. Our introductory action package comes with everything you need to whip the toughest trails into shape . 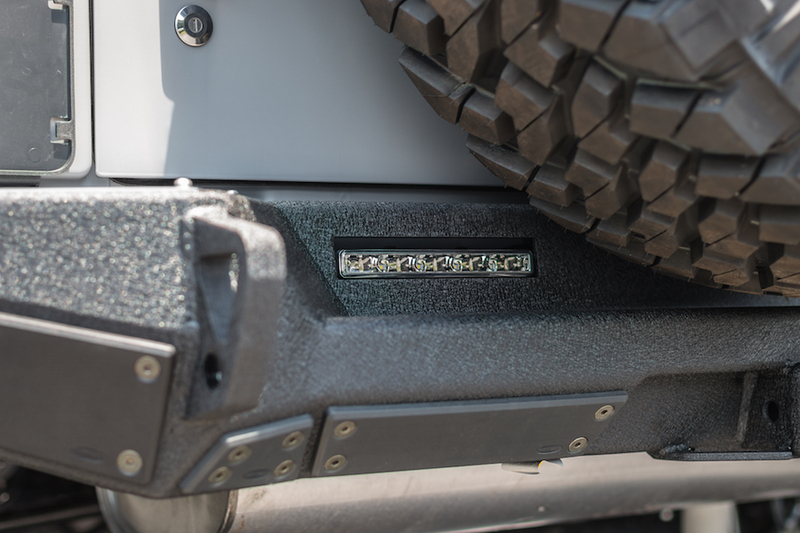 The Trail Warrior is anchored by the 3.5” Rubicon Express Sport Suspension, which ensures your Jeep has sufficient ground clearance without sacrificing handling or suspension abilities. The 35” Nitto Trail Grappler Tires and 20X10 Black Aluminum Wheels offer enhanced capability with the appearance to match. The ProCal Speedometer Calibration Module corrects the speedometer and gear ratio due to the offset caused by larger tires. 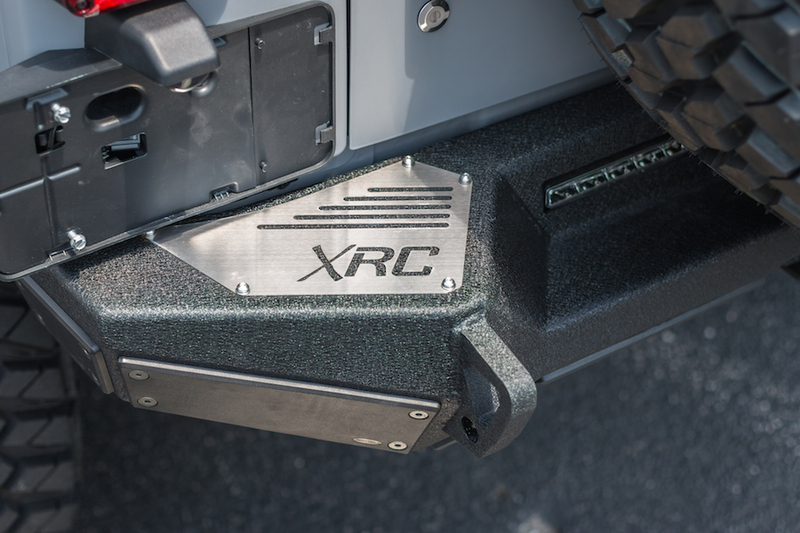 Since you will be sporting much larger tires and wheels, the SmittyBilt HD Hinged Tire carrier protects your investment while maintaining the ease of use and simplicity of the factory rear door and handle. 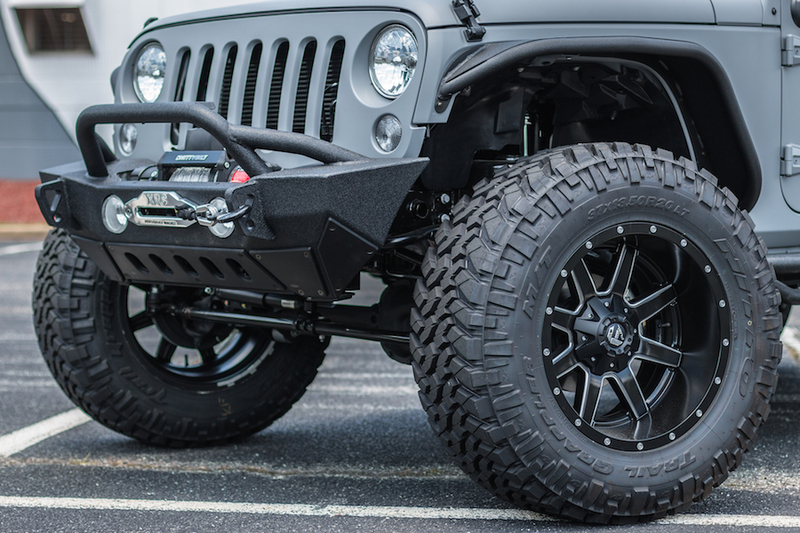 The Ultimate Warrior package includes the ever-effective 4.5” Rubicon Express lift with upper and lower control arms, which increases the range, strength, and off-road safety of your Wrangler. 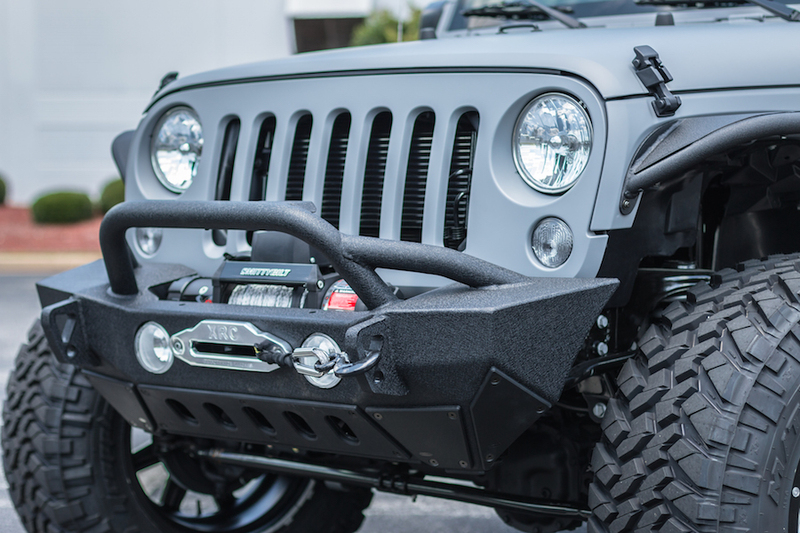 This package also comes with the heavy-duty SmittyBilt HD Hinged Tire Carrier, which is a must have for the 37” Nitto Trail Grappler tires and stylish 20×10 black aluminum wheels. Because larger tires and wheels can throw off the gear ratio of your Jeep, this package includes the ProCal Speedometer Calibration Module, which exacts the gear ratio and speedometer. Morph your Jeep Wrangler into an impenetrable fortress with the functional and stylish body armor of the Armored Warrior add-on package. 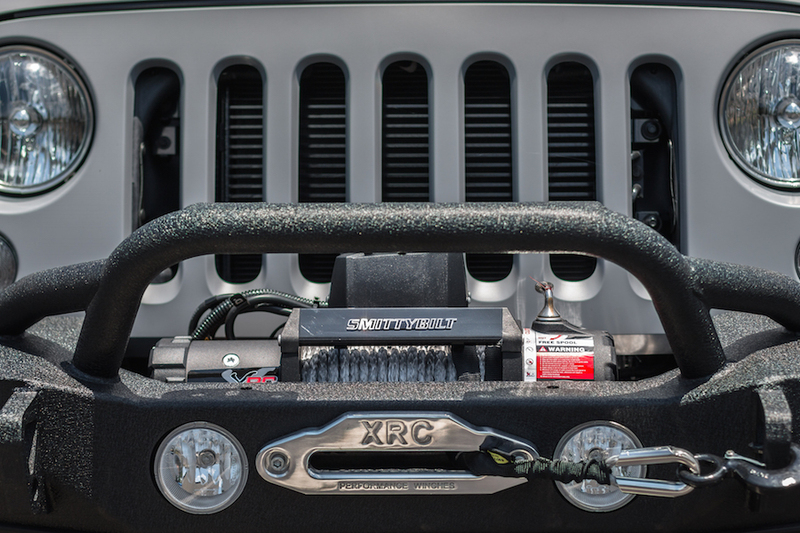 The Off-Road Front XRC Bumper comes with a powerful XRC 9500 Heavy Duty Winch to help you get out of the stickiest situations. The Light Warrior add-on package takes accessorization and visibility to an entirely new level. It includes a 50” E Series Windshield Light Bar and J.W. Speaker’s high-power LED Headlights and Fog Lights to illuminate the road ahead. When you are backing into tough spots, the J.W. Speaker’s Tail Light Replacements provides a new perspective on what’s behind you. The legend series is exclusively offered by Palmer Custom Jeeps! Designed and created by Greg Higgs founder of FabFours, this limited edition build has unique style that you cannot get anywhere else. Are you a fan of the Fast and Furious movies? Well this package is built in the likeness of the original legend that will be featured in Fast and Furious 8! This package can not be changed or added to but no worries, you will not be disappointed! 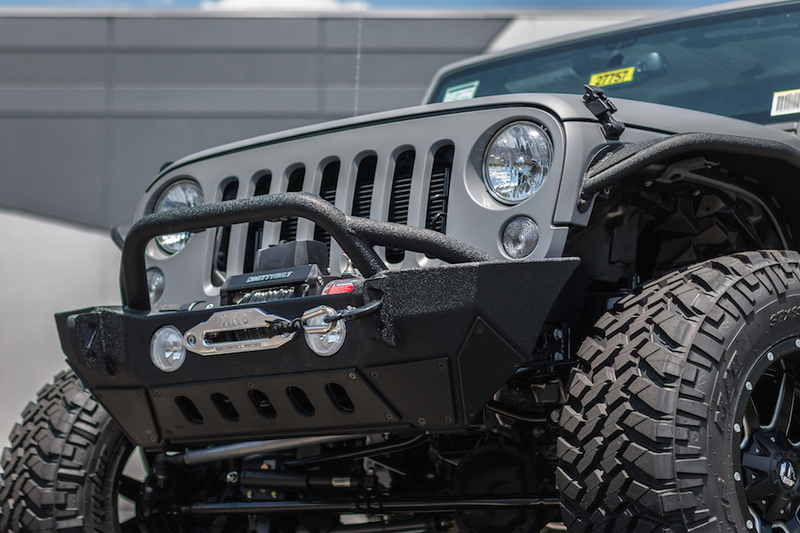 Whether you are in the market for a Jeep or looking to give your current Wrangler a facelift, the professionals at Palmer Custom Jeeps by SORS in Roswell can help. 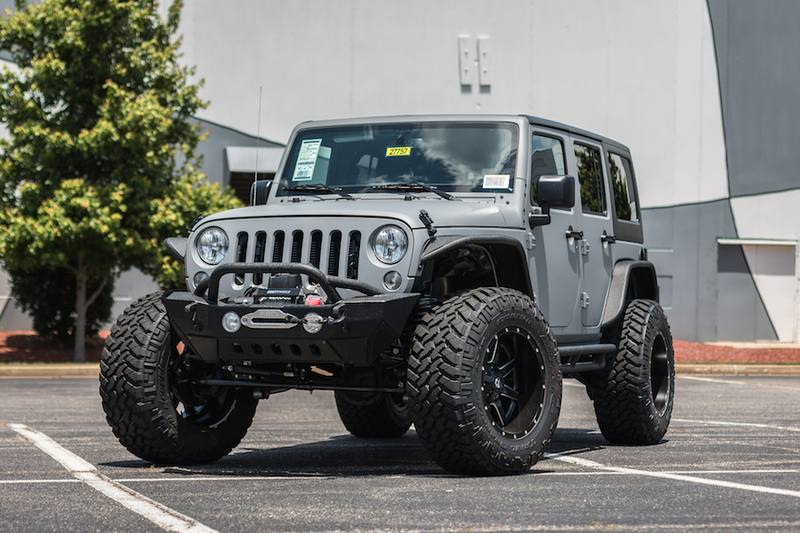 We offer a full-line of new Jeeps, used Jeeps, already customized Jeeps, as well as a wide range of parts and accessories. 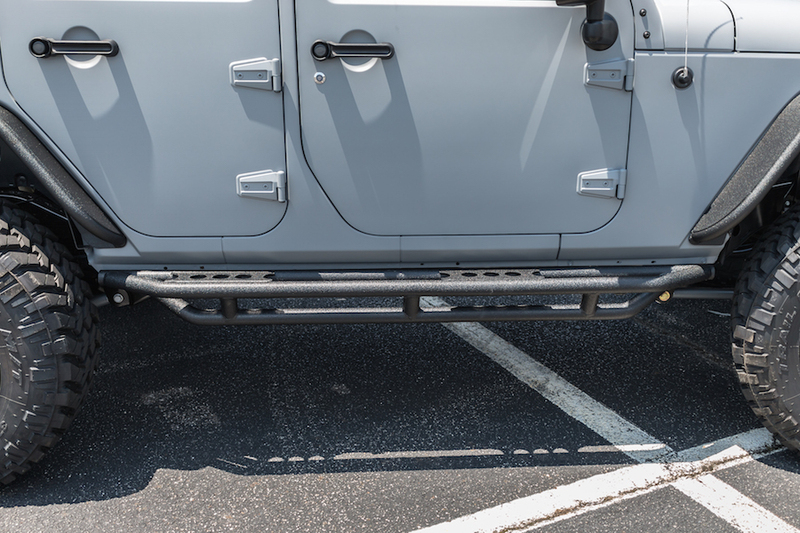 Our goal is to simplify the process and make customizing your Jeep Wrangler as easy as possible. 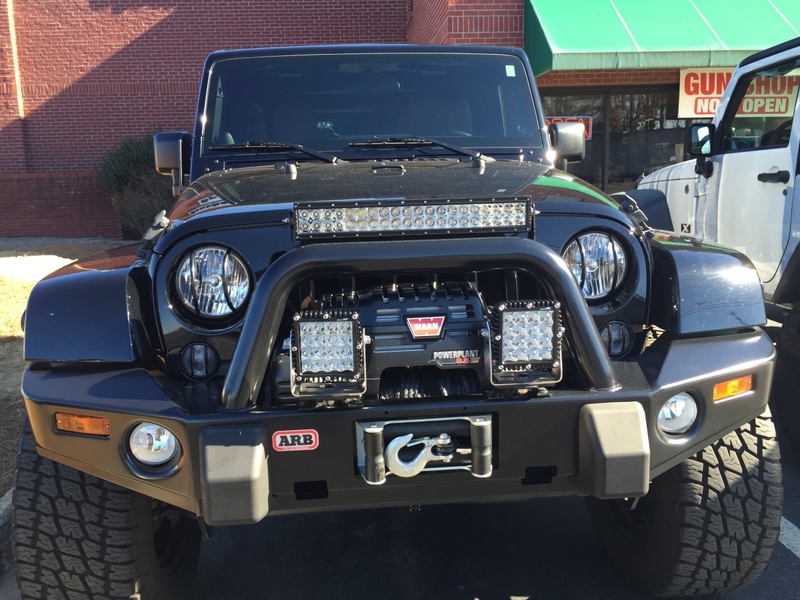 Palmer Custom Jeeps by SORS offers expert solutions for residents of Roswell, Alpharetta, Marietta, Lawrenceville, Duluth, Dunwoody, East Cobb, Johns Creek, Peachtree Corners, Loganville, Woodstock, Kennesaw, and surrounding Atlanta areas.